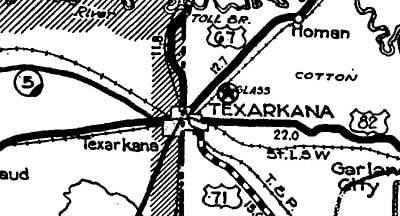 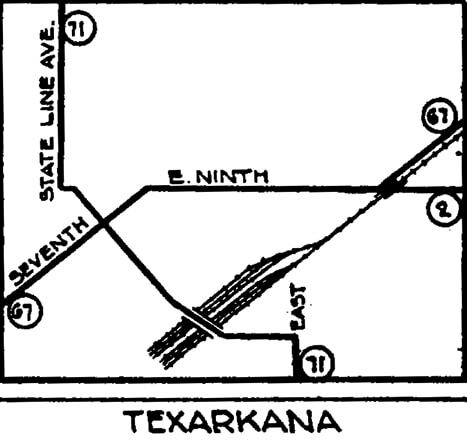 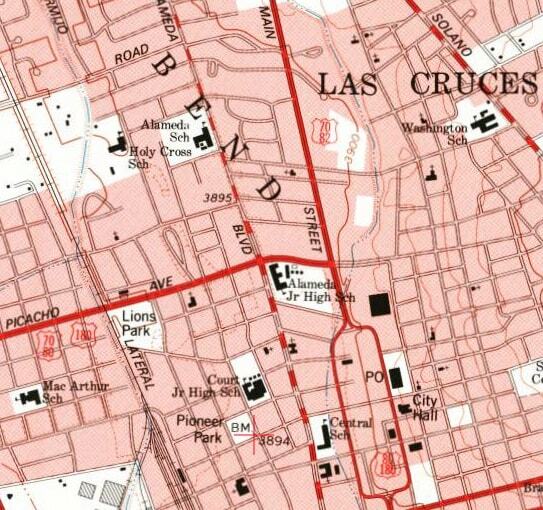 But more likely, US 82 would have continued west of there on 7th, ending either at the Texas line, or else turning south on State Line Avenue, ending at the Federal Courthouse and Post Office. 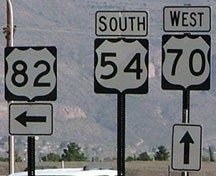 For a few years, US 82 came to that point and ended there at Plant Avenue (at the time, those US 1 and US 23 markers would have been correct, but since 1994 Plant has actually carried Business US 1-23). 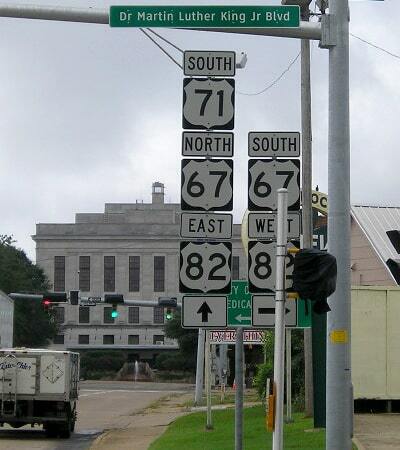 ​In 1956, US 82 was extended further east, this time to Midway. 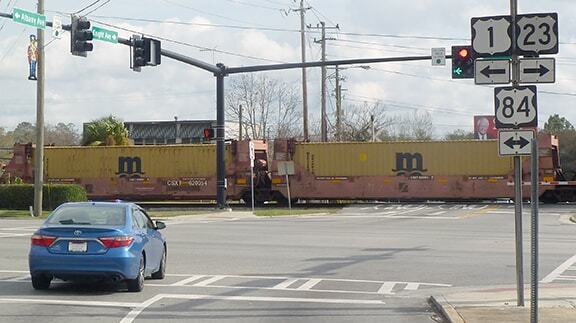 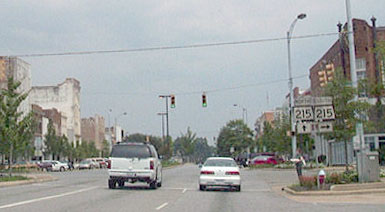 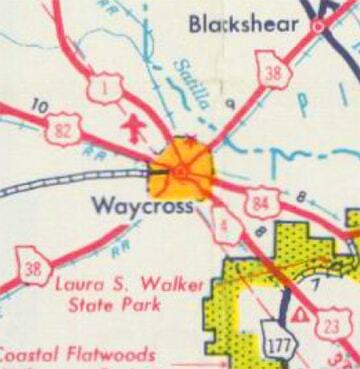 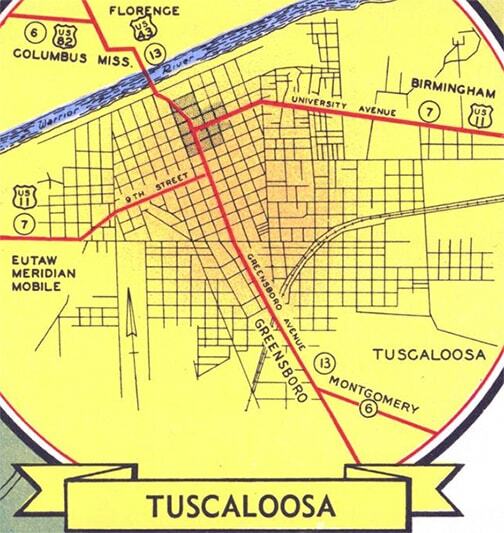 But in 1989, back in Waycross, a new bypass resulted in a swap of the US 82 and US 84 designations to the east of town, so then the east end of US 82 was changed to its current terminus in Brunswick. 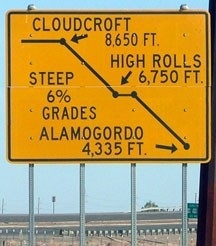 ...although signage back then left a little to be desired as well. 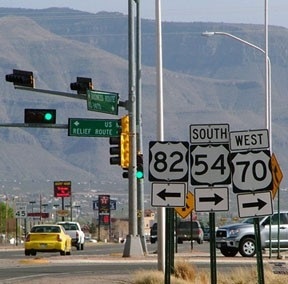 In 2009 it was reported that there were still references to US 82 in White Sands National Monument (that is between Alamogordo and Las Cruces). 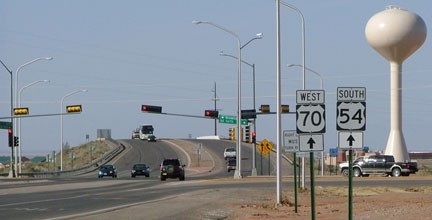 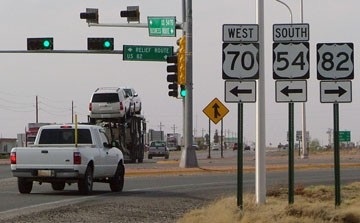 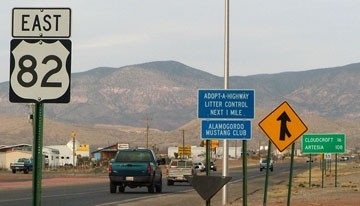 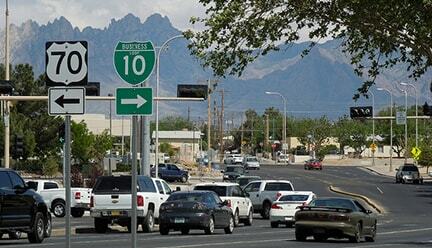 I did not observe that myself in 2010, but I did notice that US 82 was mentioned on a sign at the entrance to Holloman AFB (which is between Alamogordo and White Sands).